I’ve worked scientifically and artistically with bacterial bioluminescence for over 25 years but I still never get bored of experiencing it. 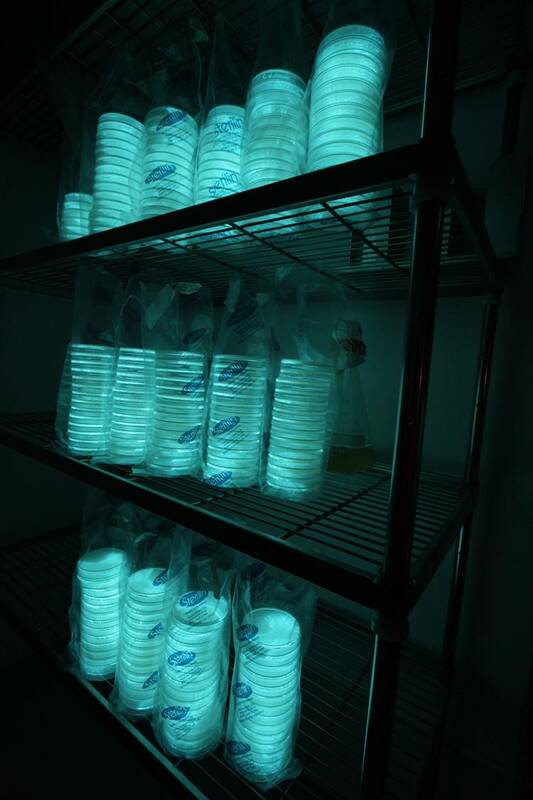 Prepping for an installation, an incubator room illuminated with Photobacterium phosporeum, you could easily read a book under this biological light. Sublime!